Home » News » Some Believe That This Video Is Proof That Teleportation Is Possible...Do You? Some Believe That This Video Is Proof That Teleportation Is Possible...Do You? Although I've always humorously wished that I had the power of teleporting everywhere so I'd never be late again, I never considered the possibility that it could really happen. However, after seeing the footage below, I'm not sure what to think anymore. While this person was driving on a Russian highway, their dash cam picked up strange footage that can't really be explained. 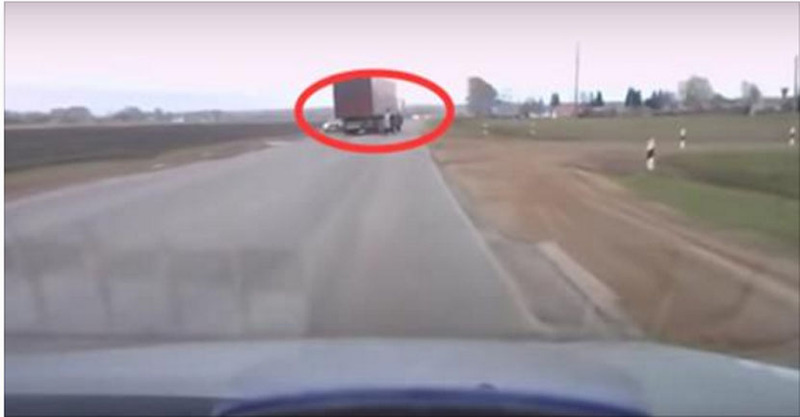 As a truck swerves to the left, it looks as if a woman appears out of nowhere. Many viewers believe this is evidence of time travel and teleportation. It could be that the woman had been standing in the road and the truck driver just didn't notice, but something seems off about that. Why wouldn't that person have seen her until the last possible second? Why didn't the pedestrian move sooner?